Turn Up Color Cream #Ash Latte＇Product DescriptionMaximizes hair color power to create more vivid colorLong Lasting Color / Soft Cream Type Texture / Mix up your own color＇How to use1. Pour the bottle of (no.1) into the bottle of (no.2).2. Shake the .. 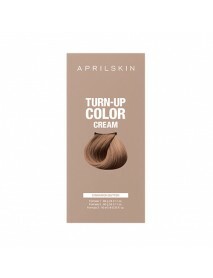 Turn Up Color Cream #Cinnamon Butter＇Product DescriptionMaximizes hair color power to create more vivid colorLong Lasting Color / Soft Cream Type Texture / Mix up your own color＇How to use1. Pour the bottle of (no.1) into the bottle of (no.2).2. Shak.. Turn Up Color Cream #Deep Blueberry＇Product DescriptionMaximizes hair color power to create more vivid colorLong Lasting Color / Soft Cream Type Texture / Mix up your own color＇How to use1. Pour the bottle of (no.1) into the bottle of (no.2).2. Shake.. Turn Up Color Cream #Highlightener＇Product DescriptionMaximizes hair color power to create more vivid colorLong Lasting Color / Soft Cream Type Texture / Mix up your own color＇How to use1. Pour the bottle of (no.1) into the bottle of (no.2).2. 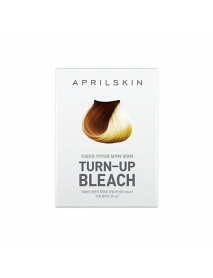 Shake .. Turn Up Color Cream #Matte Avocado＇Product DescriptionMaximizes hair color power to create more vivid colorLong Lasting Color / Soft Cream Type Texture / Mix up your own color＇How to use1. Pour the bottle of (no.1) into the bottle of (no.2).2. Shake .. Turn Up Color Cream #Pink Candy＇Product DescriptionMaximizes hair color power to create more vivid colorLong Lasting Color / Soft Cream Type Texture / Mix up your own color＇How to use1. Pour the bottle of (no.1) into the bottle of (no.2).2. Shake the.. Turn Up Color Cream #Red Pepper＇Product DescriptionMaximizes hair color power to create more vivid colorLong Lasting Color / Soft Cream Type Texture / Mix up your own color＇How to use1. Pour the bottle of (no.1) into the bottle of (no.2).2. Shake the.. 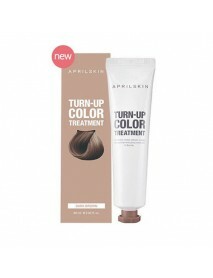 Turn Up Color Treatment #Dark Brown＇Product Description20 different herbal extracts nourish damaged hair while giving a vivid color to the hair.＇How to useAfter shampooing, apply an adequate amount of product on a damp hair.Rinse after 20 minutes wit.. 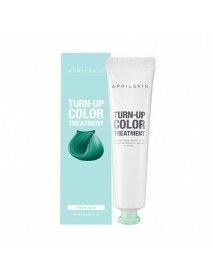 Turn Up Color Treatment #Green Blue＇Product Description20 different herbal extracts nourish damaged hair while giving a vivid color to the hair.＇How to useAfter shampooing, apply an adequate amount of product on a damp hair.Rinse after 20 minutes wit.. Turn Up Color Treatment #Khaki＇Product Description20 different herbal extracts nourish damaged hair while giving a vivid color to the hair.＇How to useAfter shampooing, apply an adequate amount of product on a damp hair.Rinse after 20 minutes with luk.. 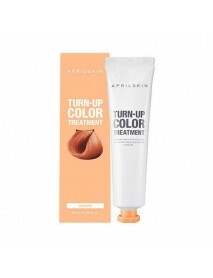 Turn Up Color Treatment #Orange＇Product Description20 different herbal extracts nourish damaged hair while giving a vivid color to the hair.＇How to useAfter shampooing, apply an adequate amount of product on a damp hair.Rinse after 20 minutes with lu..